According to The Capital, Sabres owner and former gubernatorial candidate Tom Golisano plans on pouring millions of his own dollars into a political action committee for the purposes of taking out the Republican State Senate. 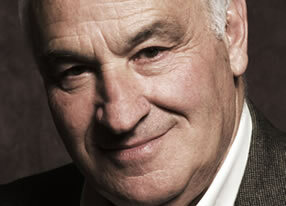 Don't forget, Golisano started the Independence Party for the purposes of running for governor. He then switched his affiliation to Republican. And he's been friendly with several republicans in Albany, but now, apparently, he's done with them ... or at least the ones running the show. Candidates will mainly be Democrats, but Golisano will consider endorsing Republicans in the races. Candidates will need to be moderate, committed to Golisano’s agenda and not aligned with career politicians. Golisano will be supporting Erie County Legislator Kathy Konst (D) in her bid to unseat State Sen. Dale Volker (R-Erie), former boxer Joe Mesi (D) in his primary bid to succeed retiring Sen. Mary Lou Rath (R-Erie) and former State Sen. Rick Dollinger (D-Monroe) in his bid to unseat Sen. Joe Robach (R-Monroe), though Golisano is unlikely to announce these specific candidates at his press conference next week. Of course, if one of those seats changes hands, the Senate gets controlled by the Democrats, giving them the Assembly, the Senate, the Attorney General, and the Governor's mansion. Personally, speaking, the thought of the Democrats controlling everything scares me. You know the saying: Power corrupts ... and absolute power corrupts absolutely.